In Part 1 of this topic, I covered four of the top ten fundamentals in building a strong web analytics platform. 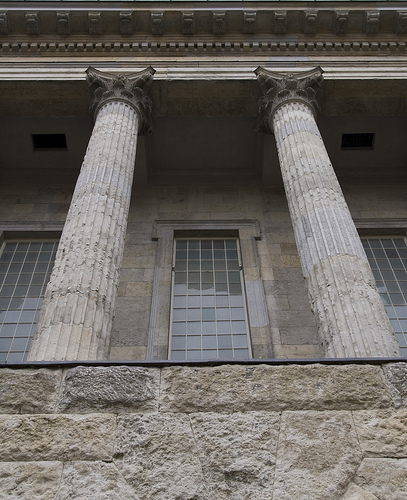 In this post, I will discuss the remaining six pillars. In a previous post, I talked about tracking all of your campaign activity. A campaign is any method, whether paid or organic, that gets visitors to your site. Some of these activities include pay-per-click, banner ads, email, newsletters, blogs, articles, social media, classifieds, forums, referral partners and affiliates. In the other post, I provided recommendations on how to set up Google Analytics and Omniture to provide you with a methodology to create and track the performance of all of your campaigns. When done properly, you can determine how well these campaigns do in bring not only visitors to your site, but qualified visitors who become customers or leads for your company. Once you know the value of your campaign efforts, you can provide recommendations on which campaigns work and which ones do not, letting your organization optimize its marketing budget. Testing and verifying your tagging structure and data collection to make sure you are capturing all the data you think you are. Make sure that all pages are tagged and that custom tags fire properly. Some organizations go a bit crazy when collecting web data. For example, I’ve seen a client set up a traffic variable that collects an internal search term and then combines it with the page where they went on the site. Yet no report was being used with this information (nor should it have been). Enabling all the parameters you have available can increase the overhead on your analytics tool, and can sometimes cause you to hit limits on the amount of data that can be processed. If any data that you are collecting (other than out-of-the-box) data does not serve a purpose in relating to your KPIs (business goals), then stop collecting it. Once you have your analytics program running smoothly, it is time to add an optimization process to it. This involves selecting any aspect of your metrics that can use improvement. For example, an easy win would be to reduce the bounce rate from targeted landing pages, or reducing the exit rate from pages that should lead to a call to action. Longer term, you will want to improve the performance of campaigns to lower your cost per lead or sale, to reduce the fallout rates in your conversion process, or to increase page views or reduce calls to your call center, and so on. Items that can be tested include landing pages, conversion funnel pages, forms, body copy, headlines, offers, colors, graphics, processes and segmentation. The optimization process starts by implementing a tool that will let you conduct A/B split testing and multivariate testing. Since this is more advanced topic and requires strategic planning and execution to administer properly, you will either want to work with your optimization tool vendor or a company like Edgewater Technology to show you the way. To do this effectively, your organization will want to create a team that merges strategy, technology and creativity together. After you run a given test, analyze your results, make the recommended changes, and test again. The end goal on any phase of testing is to increase your ROI for that cycle. But, how do you measure that? It helps to understand the ROI formula. Basically, it is the gain from an investment minus the cost of the investment, divided by the cost of the investment. Suppose for example, you have a baseline of an average of 10,000 orders per month from 434,000 visitors. That is a conversion rate of 2.30%. If your average revenue per sale is $50, your total revenue would be $500,000 from these visitors. If, through your optimization efforts, you raise the conversion rate to 3.1%, your resulting number of orders would be 13,454, for a revenue total of $672,700, or a difference of $172,700. If it cost your company $50,000 to make these improvements, your ROI would be ($172,000 – $50,000) / $50,000, or 245%. Note that this ROI was based only on the gross revenue, and does not factor in the cost of goods or services sold. Where is your analytics program now? Where do you want your analytics program to be? What are the goals of the various stakeholders? What data to they want to see? What data are you not collecting? Is your collected data accurate? Do you need to integrate online data with offline data? What challenges will you face in getting to your goal? What specific tasks does your team need to do to get there? Once you have a road map, you will be able to break down all the required tasks and determine what level of effort is needed to implement your analytics program. By understanding the fundamentals needed to build a strong web analytics platform, you will be able to provide reliable data that supports your company’s business goals and provides you with actionable insights that can be used to optimize all aspects of your web program. While web analytics can give you a pretty accurate picture of how well online buyers respond to online marketing activities, it fails to tell you anything about how your online marketing affects offline purchase behavior and how offline marketing affects online behavior. If you website has a 3% conversion rate, what about the remaining 97% of your visitors? If you send out 50,000 coupons and get a 2% direct response rate, what about the other 98% of those who got the coupons? Is there a way to measure what they do? 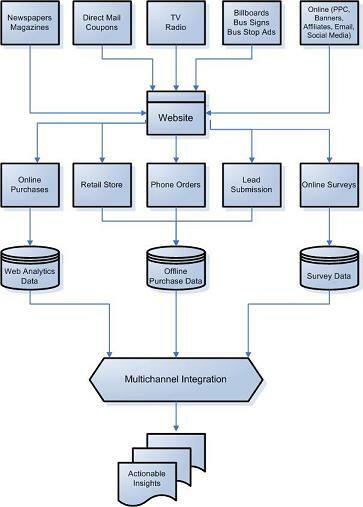 Enter multichannel analytics. Multichannel analytics is a process where all marketing channels are analyzed to develop a more complete view of visitor behavior. 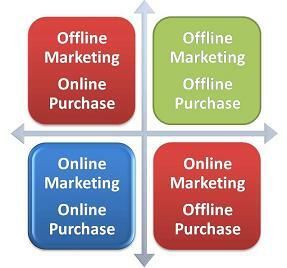 While there are four quadrants of multichannel analytics as outlined in the figure on the right, this post will discuss the two online/offline combinations shown in red. I will briefly explain some of the issues regarding multichannel analytics, some methods of tagging offline marketing and offline purchases, and show you some of the benefits. There are two solutions to tracking your offline marketing efforts. The first solution is to use vanity URLs in your offline marketing efforts. For example, if you go to DellRadio.com, you will be redirected to a dell.com URL that has some tracking code. In the URL string, you will see a parameter titled “cid”, which is used by SiteCatalyst as a campaign ID. Thus, any purchases from visits to DellRadio.com will be credited to their radio campaign. You can do the same thing with all of your offline efforts. Put vanity URLs on your newspaper or magazine ads, in your mailers and coupons, on billboards and other forms of display advertisements. Use specific vanity URLs in your radio and TV ads, and simply have your IT department do a “301 redirect” that converts these vanity URLs into coded mainstream URLs that your analytic tool can process. The second solution to the offline marketing effort is to promote the use of tracking codes in your offline media such as infomercials. Someone watching the infomercial can either call the phone number or order online. If they enter the promo code on the website, you will know that the order was the result of the TV ad. However, what this will not tell you is the percentage of those who came to the site from the infomercial but did NOT buy. If you simply want to allocate revenue to an offline marketing effort, a promotion code will work well with any offline media that drives traffic to your main URL. Within your analytic package, you would tag the code entry as an event, and then look at the revenue that is associated with each event (specific code for each offline activity). Now that you have a way to track how your offline efforts work to get visitors to your website, how do you measure what they do when they don’t order online? If your business is both online and retail (physical store), you can measure intent to come to the store by tracking results of your store locator and directions links. By setting these as goals, you can then see what searches were done by visitors who have expressed intent to come to your store. To help capture the buyer while he or she is in the buying mood, some stores like Barnes and Nobles offer the ability to enter a zip code to see if a book of interest is available at a local store. If so, the customer can reserve it online and go pick it up right away. If you can offer this type of service, you need to tag this event so it can capture what brought the customer to the website, and be able to tie in the physical purchase (offline) to the online marketing that resulted in the purchase. It is also possible to have your website generate a unique coupon ID that can be for the particular product that was searched. By creating an ID that represents marketing segmentation (campaign type, campaign source, media placement, keywords, and so on), you can store this information in both your analytics package and your store database. If you use a campaign translation file for your analytics platform, you will want to include the same campaign ID as a prefix to your coupon. The same coupon concept also applies to service businesses such as insurance, reservations, home and professional service businesses, etc…, where you give the prospective customer a coupon ID that they can use to get a discount. If your business takes orders or inquiries over the phone, you could have your site coded to include the coupon code next to the phone number on all pages. By tracking the redemption of these coupons, you can compute a click-to-store conversion rate, and factor in offline revenue that was attributed to specific online marketing campaigns. This will give you a higher ROI and perhaps provide justification for more web-related investment. Unique tracking phone numbers can also be used to measure the impact of your online marketing efforts to offline purchases. A service like Voicestar provides these tools. You can place trackable phone numbers on your site, or use services like “Click to Call” and “Form to Phone” options. Their system has an API that lets you get data right out to your analytics tool and dashboard. Tracking phone calls is very important, as it is human nature to still want to talk to someone on the phone before making a purchase decision. When using a phone tracking service, or even if you have a block of your own phone numbers to use, it is important to not have the phone numbers as a part of the static content. The phone numbers need to be integrated with an algorithm that can associate the phone number with a particular campaign. To further tie in the visitor to the phone number, a cookie should also be set that relates to the tracking source. Thus, if the visitor leaves the site, and comes back at a later time, the initial campaign that brought him or her to the site will still receive credit for the sale. The biggest drawback to this type of campaign tracking is that depending on what level of detail you want for your marketing segmentation, you can end up needing dozens or hundreds of phone numbers. This can possibly become expensive and difficult to manage. Instead, you can create a 3 or 4 digit “extension” that is tied to a web-related order number, and when someone calls the number, the phone operator asks for the extension. This has no incremental cost to implement. Another phone tracking service is offered by Mongoose Metrics. Their service integrates with most web analytics tools to create an automated URL postback after each call is made. You can perform the same type of analysis, ecommerce conversion and segmentation that you would from any other page to be analyzed. You can see instantly how well your online marketing activities are generating online revenue. There are many ways to implement phone-based tracking, and they all require integrating your site code with your analytics platform and your backend system. Another way to gauge consumer intent is to use online site exit surveys. Companies like iPerceptions, ForSee and others can provide you with surveys that your site visitors can take regarding their online experience. You can ask about the likelihood of them making a purchase offline, and how much their online experience would influence their buying decision. On your online order forms and lead forms, you can also ask the question, “How did you hear about us?” in the form of a drop-down select or radio buttons. Include your offline marketing methods as choices. If the online traffic source is “direct entry”, then you can assign credit for the sale to the way the customer said they heard about your site. If your business model is to let visitors fill out a form to be contacted by an agent or representative, there are a couple of different ways to tie success (revenue) to a campaign. Some analytic packages let you assign a dollar value to goal conversion pages, such as filling out a request for information form, a pre-application, or other form of customer contact. This dollar value is based on two factors – the average close rate of online leads, and the average dollar value of each deal. For example, if your company closes 15% of all of its leads, and the average deal is worth $500, then the value of each lead is $75 (15% of $500). Thus, your web analytics package can compare that value to the cost associated with generating the lead, and the nature of actions that lead up to it (pages visited, items downloaded, actions taken, and so on). If your analytics tool is set up to give credit to the first campaign touch point (PPC campaign, banner ad, referral site, etc…), you can still assign credit for the lead to the original campaign, even if the visitor does not convert until a later date. The drawback with this method is that you are dealing with averages as far as the value of a lead. With average lead values, you cannot measure if a particular campaign brings in a higher-value customer than does another campaign. You can, however, get an average picture of how effective your online campaigns are right within your web analytics tool, without having to import any external data. For many organizations, this will provide much more insight than they are already getting about their offline purchases. It does require fine tuning the value you are using as the average lead value, based on your close rates and average dollar value of a new customer. An alternative to this is to create an offline method of tracking online campaigns when a form is submitted. 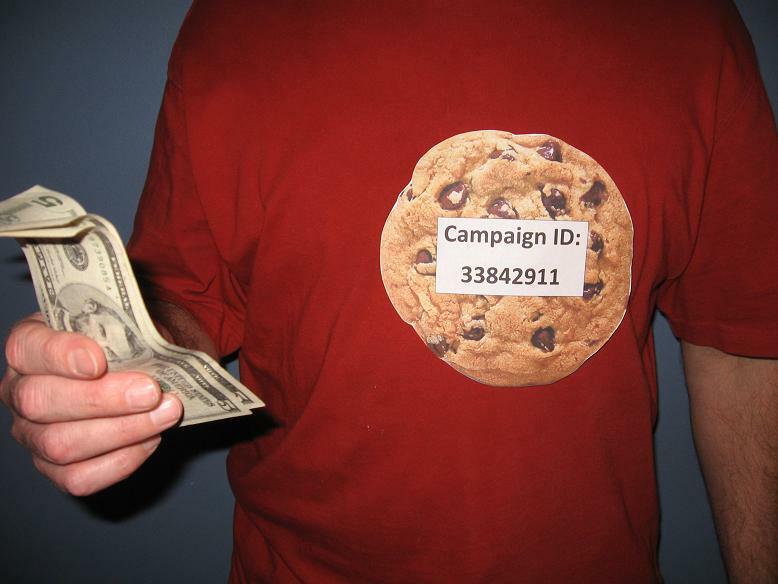 Your campaign code that you use in your web analytics package can be stored in a cookie and submitted as a part of your lead form. If all these leads are entered into a database, the campaign code can also be entered, and later receive credit for an eventual sale. The exact dollar value of the deal can then also be assigned to the campaign, just like for an eCommerce site. The integration of the online and offline data would then need to be done. Enhanced ROI – Once you are able to assign additional offline revenue to your online marketing efforts and online revenue to your offline marketing efforts, you will see a higher ROI, enabling you to justify additional spending on both your online marketing and other web efforts, such as site testing and optimization. Retail Merchandising Decisions – If your business is retail, your online data can be mined to see what items tend to be purchased together, enabling your retail operation to group these same items together for in-store customers. Upsell Opportunities – If your offline customers tend to respond to particular upsell opportunities when they call in or get called back, you can use this information to target similar online customers or visitors, based on data that can be stored in tracking cookies. Re-marketing Intelligence – If you know what online customers come back to your site to buy later, you can use this knowledge to market similar products or services to your in-house mailing or phone list. Additional Retail Outlets – If you see a significant request for retail outlets in areas that you are not currently serving, you can have the data you need to consider expanding your physical presence. New Promotional Activities – If you know that your online visitors express an interest in finding a store based on looking at particular products that they want right away or that tend to be expensive to ship, you can create geo-targeted online campaigns that are designed to get more buyers to your store. This can also work well for seasonal or event-driven items (snowstorm, hurricanes, extended deep freeze, etc…), where the need for a product is now, not 7 to 10 days from now. By tracking these click-to-store visitors, you will be able to measure the success of these campaigns. Hopefully, this post will give you some insight into how multichannel analytics works, some of its challenges, and how it can benefit your organization. Enterprise e-Commerce on a Shoe String Budget? Challenges of integration with existing systems alone are daunting enough never mind the fancy e-commerce functionality that is often considered vital for competitive differentiation. No wonder why starting an e-commerce venture or an upgrade is considered a seven figure expense. The cost of an enterprise grade e-commerce product alone can easily account for twenty to forty percent of the budget. The other option is to go with a hosted or SaaS based approach and avoid capital expense for software and infrastructure – not a bad approach for testing the waters but in the long run, charges and fees can really add up. A well executed e-commerce site can provide great returns on the investment by generating new revenue streams, enhancing existing ones, or reducing operational expenses – and that can’t be too bad for the budget or your career. However, in tough economic times the challenge becomes harder as getting approval for large complex projects becomes difficult and even the approved budgets can get slashed. If your budget gets cut, is there a way to still implement enterprise grade e-commerce? Can an open source e-commerce solution be the answer to the “do more with less” mantra? Is open source e-commerce ready to play with the big boys in the enterprise domain? Let’s explore these questions and the capabilities of the open source e-commerce solutions. Let’s start with a common misconception that an open source e-commerce product requires significant customizations and the cost of customizations more than offsets any savings from not having to pay license fees. Implicit in this assumption is the notion that a commercial product requires little or no customizations. However, the real-world experience shows us that this is not the case. Even the best commercial products cannot be used out-of-the-box unless you decide to adopt their look and feel and their model of e-commerce. The cost of customizations can add up just as rapidly in a commercial product as they can in an open source one. Therefore a prudent approach would be to adhere to the industry standards and best practices and use out-of-the-box functionality in areas which are not competitive differentiators. Heavy customizations should be limited to the aspects of the website that are true differentiators and result in a unique user experience. This guiding principle applies regardless of the decision to use an open source or a commercial product. There are a lot of inexpensive and open source e-commerce products out there; however, most of them are nothing more than a simple shopping cart. They are only suitable for the most basic needs of a simple web site. However, Apache OFBiz and Magento are two promising contenders that break from the pack and compete in the enterprise space. In this article we will primarily focus on OFBiz. 1. E-commerce capabilities B+ Provides Robust e-commerce capabilities OFBiz e-commerce capabilities include: catalog management, promotion & pricing management, order management, customer management, warehouse management, fulfillment, accounting, content management, and more. 2. Sign-on and Security B Granular and robust security framework The OFBiz security framework provides fine grain control of the security including multiple security roles and privileges. Roles can be used to control access to screens, business methods, web requests (URLs), and/or entire applications. 3. Technical flexibility & ease of use B Very flexible but complex OFBiz is an application development platform that can be used to build applications and as such provides a tremendous amount of flexibility. The use of the entire framework (which includes the database, an Object Relational Mapping (ORM) layer, business object layer, scripting support, and UI tools) is optional. 4. Integration with other apps and locations A Multiple integration methods OFBiz business services can be exposed as services and accessed by multiple methods including Remote Method Invocation (RMI) and XML Web Services. Integration directly with the OFBiz Relational Database is also possible. 5. Scalability A Highly Scalable Java systems are highly scalable provided a production architecture that is designed to support heavy load. A load balancing device and redundancy at the web, application and database servers can redundancy and scalability. 6. Relational database integration A Support for all major database platforms The most popular OFBiz database platforms are PostgreSQL and MySQL (both of which are open source). OFBiz has also been tested with Oracle, DB2, Sybase, and MS SQL Server. The default installation uses an Apache Derby database which is not recommended for production use. Our research indicates some problems with MS SQL Server database – this should be investigated further prior to selecting that database platform. Long term support of the application would require knowledge and familiarity in each of these technology sets. While these technologies are mainstream and skills should be readily available in the future, skills and experience with the OFBiz framework that is built upon these technologies may not be. 1. Financial stability B OFBiz is a “top level” project in the Apache Software Foundation. The Apache Software Foundation provides support for the Apache community of open-source software projects. The Apache projects are characterized by a collaborative, consensus based development process, an open and pragmatic software license, and a desire to create high quality software that leads the way in its field. 2. Maturity of product suite B Open For Business (OFBiz) was initially launched in 2001. In early 2006, the project went through the Apache Foundation’s “Incubation” process to review projects for quality and open source commitment. OFBiz was promoted to a top level Apache project in December 2006.The community for OFBiz is very active. The major web posting board receives between 20-40 postings per day relating to OFBiz. The original contributors are very active in monitoring these sites and sharing knowledge. 3. Reference Accounts B- Total number of installations is unknown due to the nature of open source software. The OFBiz websites lists more than 70 companies that use their software. However, there are very few marquee names. OFBiz provides a viable open source e-commerce stack that can be used to implement enterprise grade e-commerce. When combined with good implementation practices and solid execution the combination can result in slashing costs by twenty to forty percent — which sometimes can make the difference between getting funded or getting shelved. Many companies that sell products or services internationally are finding themselves in a familiar dilemma, should their web presence be global or local? While a global site is easy to control and maintain and can ensure consistency in branding and content quality, it can not address local culture, interests and variation. I agree that the best approach in most cases is to plan for the site and application to work anywhere and then build in enough flexibility for local control and adjustments. Scope of localization: how are you products or services different around the world? Is it exactly the same product (jewelry tableware for example) or does a local audience may have preferences that will impact selection and availability of products (fashion and cosmetics). If the products need to meet local regulations, standards or laws (220V or 110V for consumer electronics, Material Safety or FDA approvals for Chemicals and Drugs) or if products include attributes like language that will make them market specific (Books and CD’s). In each case, a single catalog for all products will provide the easiest way to maintain master product data but sites level of granularity may be determined by the variance in offering. It may be truly global, regional, country or language specific. How local should you go? to create a true sense of local site and service, certain adjustments may be needed to the site so it does not look like the translated version of the global template. Does the site has local news and events? Is there editorial content from local sources? Are reviews and communities local? Does the interface adapt to local language without cutting words or providing headers in English? Are local conventions like time format, date format, calendar, currency, address, name formats etc. 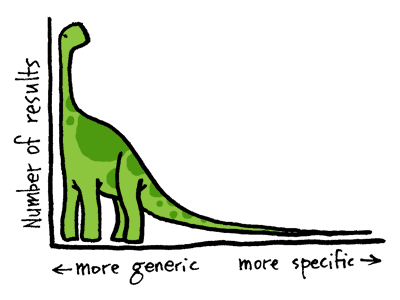 are specific or generic? Separation of content from the display. There should be no text or images in pages and no parameters in queries. Many CMS systems support localization and handle pages this way by default but custom build CMS systems rarely do. Support for variable length and right to left interfaces. Different languages have very different word length and even orientation. How will interfaces that were designed for exact size look? While these are not simple questions to answer and resolve, creating a global experience with local flavors and details can substantially impact the ability of a company to succeed internationally.